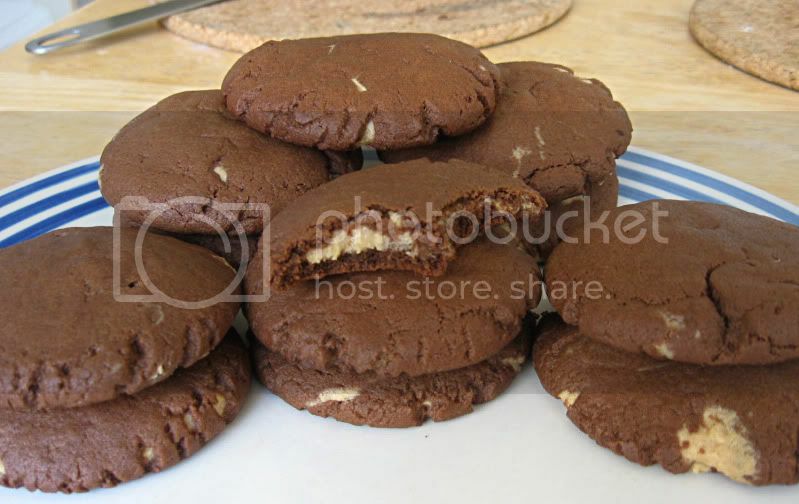 I saw these cookies over on the Tasty Kitchen Blog and thought they looked right up my alley. Peanut butter? Chocolate? Peanut butter in the middle of chocolate? Please and thanks. They were a big hit and fairly easy to make, though I will go into a couple issues I had along the way. 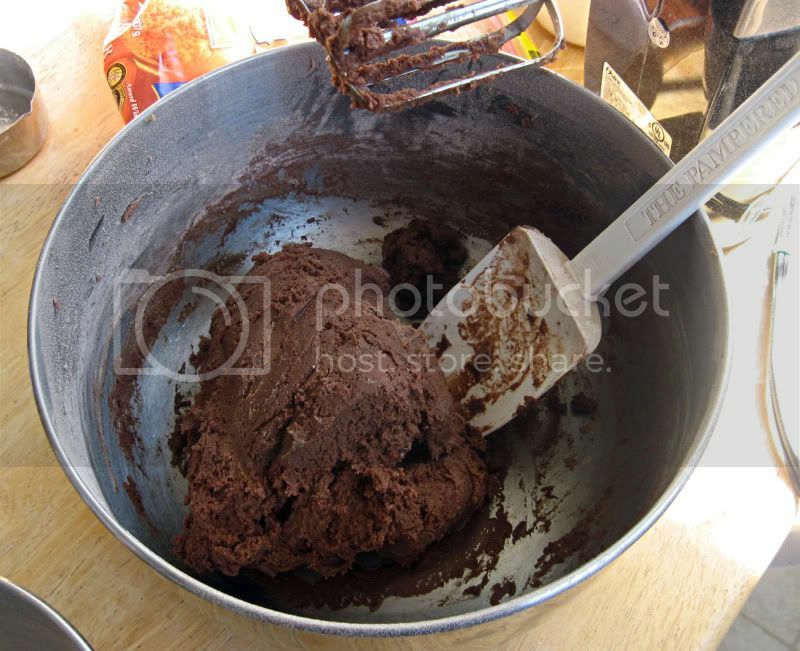 In a small bowl, mix together the flour, cocoa powder, and baking soda. 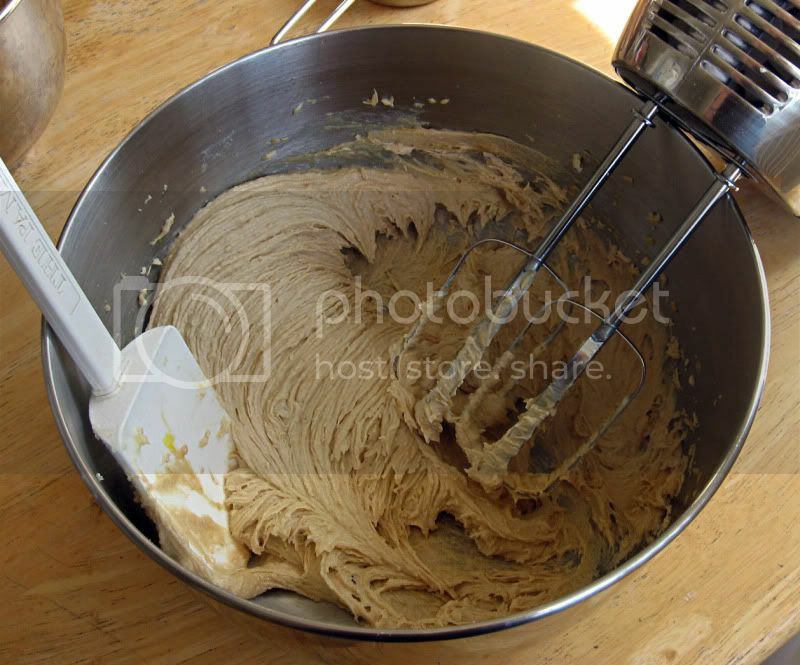 In a large bowl, beat together the sugars, butter, and 1/4 cup of peanut butter until light and fluffy. Beat in vanilla and egg. Slowly mix in the flour mixture. Set aside. 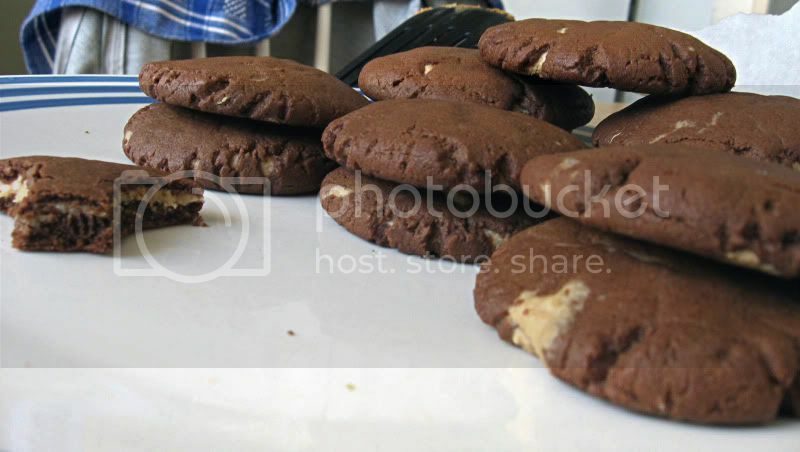 For the peanut butter filling, combine confectioners’ sugar and 3/4 cup peanut butter. Beat together well. Roll filling into 30 small balls. Try to keep the balls all the same size—around 1 inch. 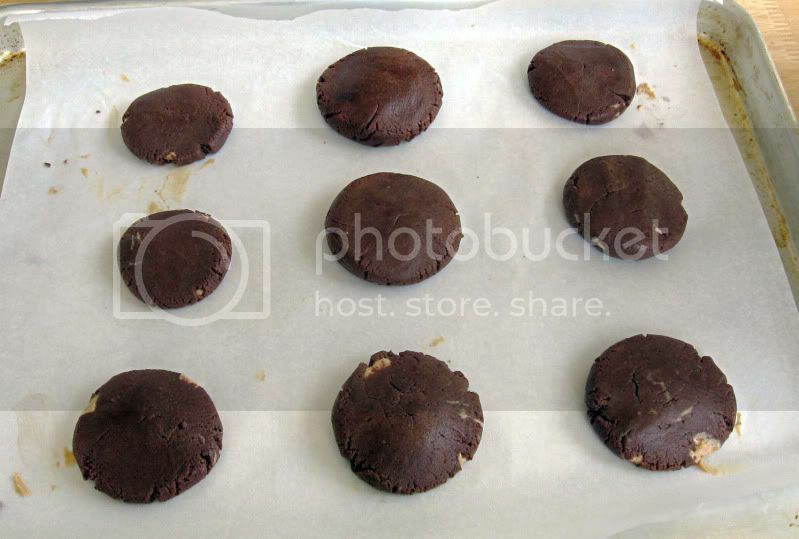 For each cookie, use 1 tablespoon of chocolate dough and roll into a ball. It helps to flour your hands first. 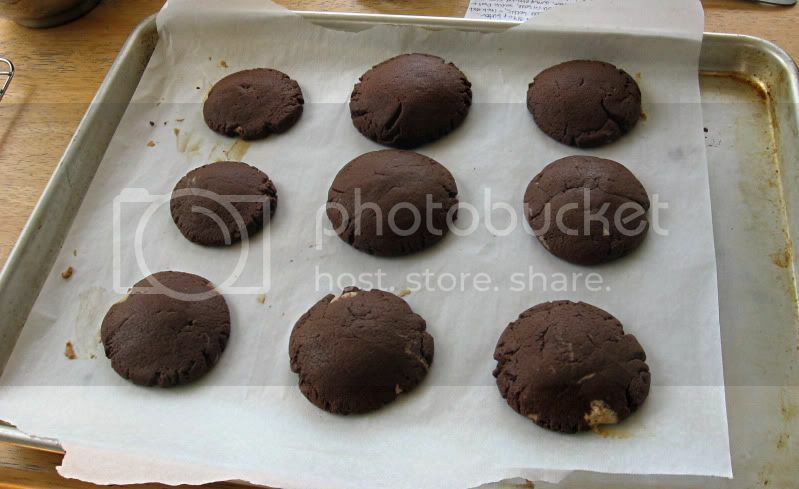 Squish the ball of chocolate dough flat and place a peanut butter ball in the center. Wrap the chocolate dough up and around the peanut butter ball to completely cover. Place 2 inches apart on a baking sheet. Dip the bottom of a glass into white sugar and use the cup to lightly flatten the cookie balls. Bake for 7-9 minutes. 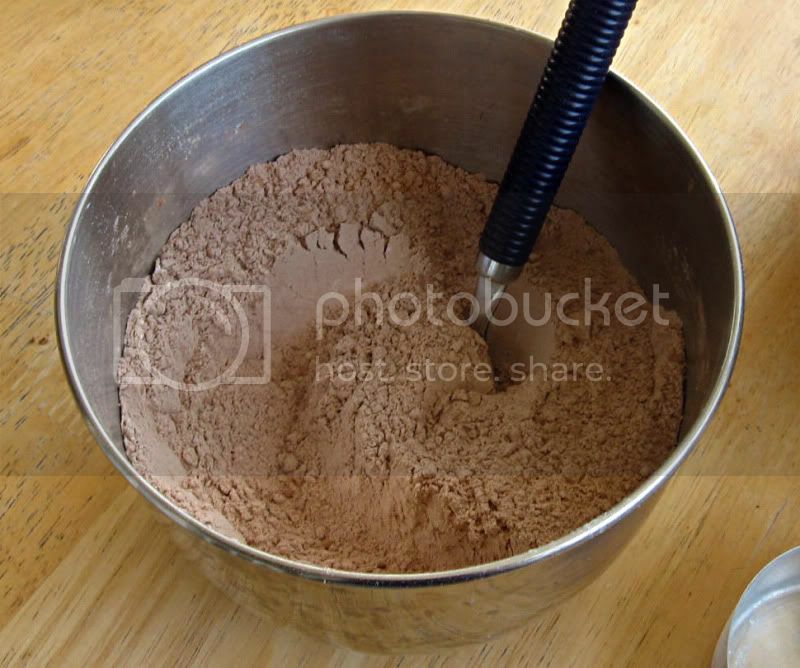 First up, mix the flour, cocoa powder and baking soda together in a small bowl. 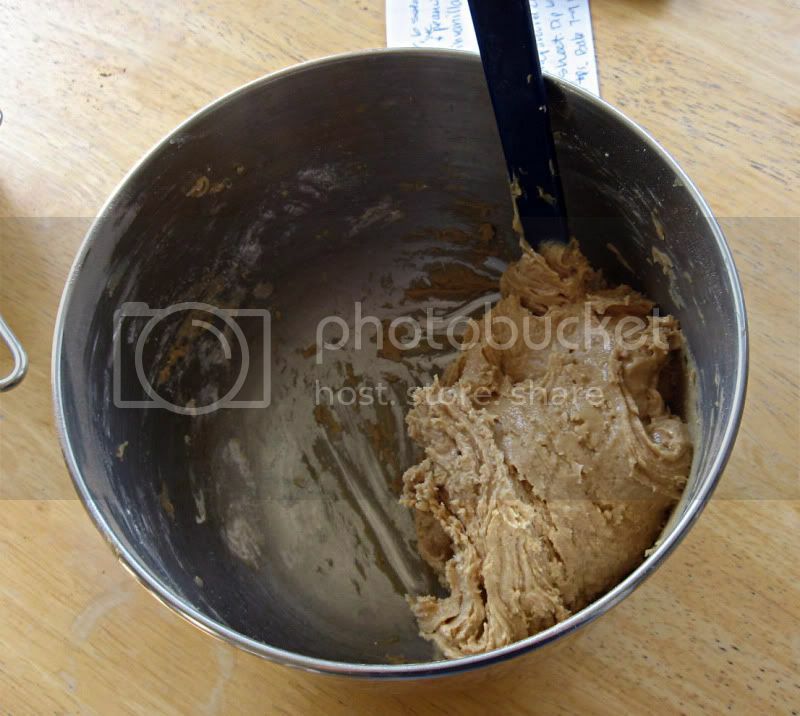 In a separate large bowl, beat together the sugars, butter and peanut butter. Mix in the flour mixture and boom - chocolate! In another bowl (or the flour bowl you previously used, like me! 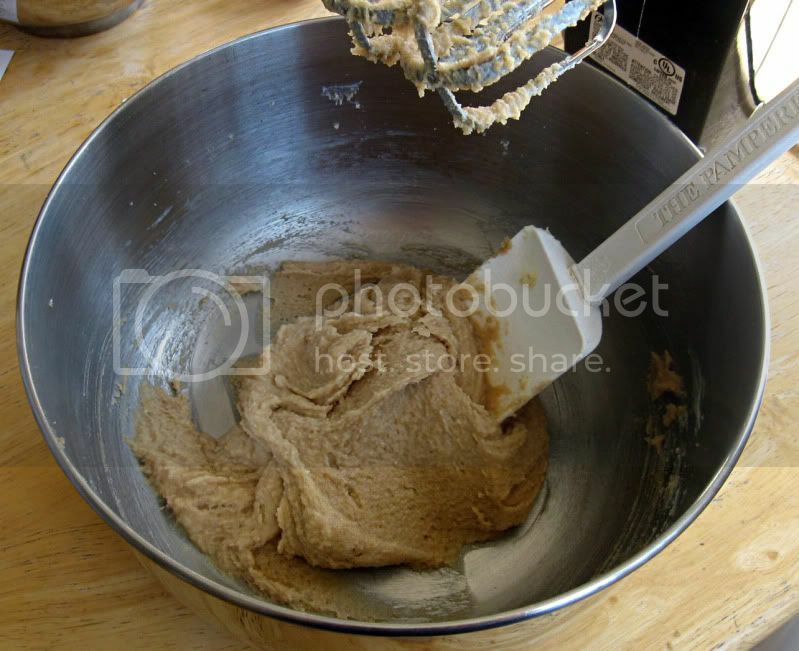 ), mix together the powdered sugar and peanut butter. I didn't have a lot of time and it was too much of a hassle to take pictures in between steps, so here are the cookies ready to be baked. Please note, though, that I had some issue with the peanut butter filling being too sticky to roll into balls. I ended up making the chocolate balls first, flattened them out, then took a small spoonful of the peanut butter filling and plopped it in the middle, and then wrapped the chocolate stuff around. I also didn't care too much if there was peanut butter sticking out in places, so that's the little tan bits you see. Baked. They don't look much different than before, so don't overbake. As you can see, I used parchment paper, but it's not a necessity. If you've done things correctly, when you bite in, there is the surprise peanut butter filling in the middle. It makes people think you've done something amazingly complicated, when really it's not so hard! Be careful, these are addictive.